I just read an article in the Harvard Business Review by Aaron Levie entitled How to Compete When IT Is Abundant. He posits that “We’re in the early days of yet another seismic shift in IT, this time driven by mobile devices, the cloud, and a demand for technology experiences that match the simplicity of the consumer world. Agreed. People are starting to wonder why the clunky software they use at the office can’t be more like web software. Why must they attend 4 hour training sessions on office software, when they can figure out web software on their own? I couldn’t disagree more. Oh sure, it’s possible for the functions to do an end-around IT and purchase computing needs directly from cloud vendors. But this is just replicating the “Silo” approach so pervasive in existing corporate IT. When it’s time to combine information from multiple silos to ask cross-functional questions (usually the most important questions), this approach starts to unravel. Instead, at BioIT Solutions, we pursue a “Horizontal Integration” approach. This approach seeks to create a single database that all functions use. If successfully applied, the company only has one parts list, one people list, one equipment list, one customer list, and so on. All of the functions use the same dataset to perform their jobs and answer questions. All of the “information dissonance” issues that arise when multiple copies of these lists drift from each other disappear. Cross-functional questions are easy to answer since all data resides in one dataset. Another trend we’re seeing is the emergence of the Virtual Company. This trend is especially prevalent in the Life Sciences industry where it’s too expensive to build all the functions under one roof. Many companies have a core technology such as a research platform, or a molecular diagnostic. Instead of building the support functions, they choose to partner with companies that provide complimentary services. For instance, a company with a novel therapeutic delivery mechanism may choose to outsource pre-clinical work to one company, contract manufacturing to a different company, and clinical trial management to yet another. This “partner mesh” can be a challenge to free-flowing, timely information. But this is where the web, if properly applied, can truly shine. It is possible to extend this “Horizontal Integration” approach to the cloud and across partner boundaries. With the proper controls, partners from all functions can securely access and contribute to the combined dataset. The virtual companies that can harness this approach will benefit from an unparalleled view of their operations and be able to react more quickly to challenges and opportunities. So before you whip out your AmEx card and begin moving your operations to cloud vendors, think about your future cross-functional reporting needs. Think about the reconciliation processes you’ll need to keep your replicated lists current. Think about your need to extend data access to trusted partners. 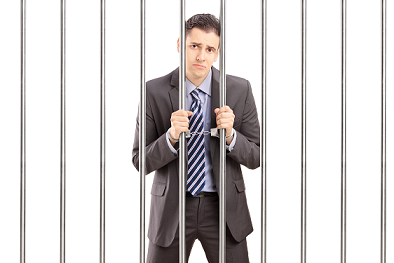 By replicating your company’s Silos in the cloud, you might be putting your organization in “Data Jail”.